The challenges in this Open Innovation Call target how the district heating companies can achieve a lower forward temperature without affecting the end user negatively, thus avoiding an increase of the amount of complaints. A key aspect is to find incentives for the end user to comply with a lower forward temperature. It should preferably be a win-win situation. Smart Cities Accelerator (SCA) is a project-based partnership consisting of leading universities, companies and cities in southern Sweden and Denmark, co-funded by EU’s Interreg scheme. The aims of the project are to develop smart cities and sustainable solutions for intelligent use of energy. In SCA, and beyond, we aim to optimise the district heating forward temperature, i.e. reducing the temperature based on load forecast and feedback from the grid. A lower forward temperature results in economic gains and increased energy efficiency. 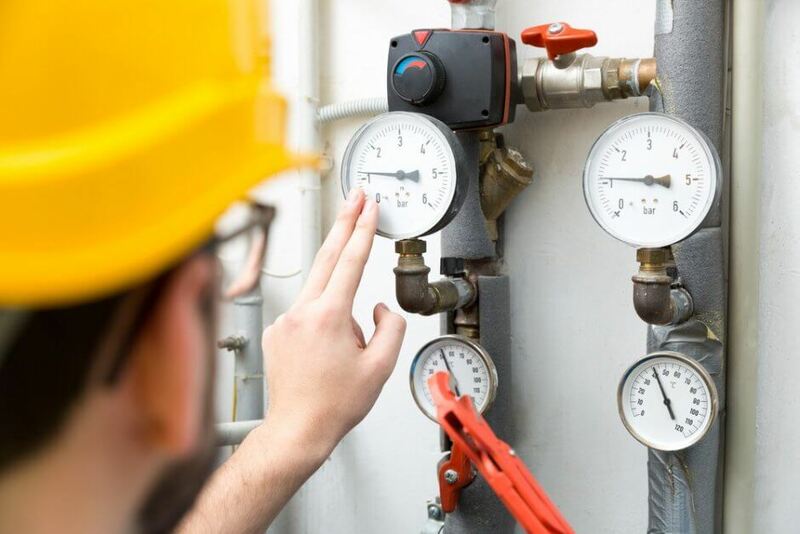 However, as the temperature decreases, customers with malfunctioning substations or substations with dimensioning problems might not get a high enough temperature for their household. There are two possibilities to minimize the amount of com-plains: either the grid temperature is adjusted based on the critical costumers’ limits or the temperature is adjusted based on the general temperature limits in most of the substations with the requirement of an identification of malfunctioning substations and that these are fixed. The last alternative is of course preferable. The paradox is that “all” the technical solutions to lower the temperature assuring a high enough temperature for most of the end users do exist today, but not how to deal with critical costumers. 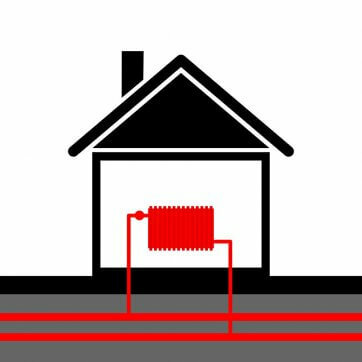 Thereto, the district heating companies do not own the substations, preventing necessary actions to be performed. One possibility would be to provide the remedial actions for free. However, this might send out the signal that costumers with poorly maintained substations are “rewarded” with a free service, therefore probably not a viable solution. With this said, how should the district heating companies reach out to the costumers, creating incentives to reduce the risk of malfunctioning substations? The aim of this call for innovation is to make the district heating companies able to take advantage of the technical solutions that enable a reduced forward temperature. This will create big economic and sustainable advantages for many stakeholders, including the society. It seems that the amount of what we could call “unsatisfied customers” are only a minor part of the total end users, thus obliging the district companies to rethink or restore a higher forward temperature to satisfy these customers on behalf of the “well-functioning” majority. How can we identify errors in substations at an early stage, before comfort problems arise, minimizing the amount of complaints? When the malfunctioning substations are identified, how do we analyse their performance? How do we assure lowest possible supply temperature, while still assuring customer satisfaction? Are the existing incentives for a lower forward temperature present today and are they known for the right stakeholders? What incentives are not present today that could help the end users adapt to a lower forward temperature? This Open Innovation Call is therefore asking for innovative ways to guarantee satisfied customers, while reducing the forward temperature. The aim of the Smart Cities Accelerator-project is to optimize (i.e. reduce) the supply temperature in the District Heating-grid (DH). To be able to do this as a continuous process, the DH-companies need a way to identify, analyse and fix malfunctioning substations/-systems. This might be done by technical and/or strategical solutions. For example, technical solutions may be implemented to identify and analyse malfunctioning or under-dimensioned substations, whilst strategic solutions may help to create incentives for customers to adjust or fix their substations. Another question is when the DH-companies are responsible for taking the correct remedial measures and when the customers are. For example, a substation/-system might be under-dimensioned today due to the conditions in the grid at the time it was installed. The DH-company might be responsible to fix these specific under-dimensioning cases. For both Lund, Sweden, and Høje-Taastrup, Denmark, the towns are quite “heterogenous” with a mix of old and new, big and small buildings throughout the grid. This means that a new-built office might be located next to old multifamily-houses and a recently renovated school. All these customer types need to get the temperature they require. In most cases and during a large part of the year, the sub-stations work perfectly fine with a temperature well below what they receive today. However, the functionality in the substations vary, which might lead to that certain substations don’t work properly when receiving a lower supply temperature. Furthermore, the district heating company Kraftringen (in Sweden) has different taxes for different customers where for example business customers pay for the flow of DH-water as well as for the used energy. This creates incentives to ensure a good cooling and well-functioning substations for these customer types. However, private household owners lack such flow tariff, reducing the incentives to secure a well-functioning substation. It should be mentioned that introducing a flow tariff is only one of many possible incentives that could be implemented. In Denmark, though, the district heating company Høje-Taastrup Fjernvarme does not have different taxes, but both big and small costumers pay for what they use in MWh. Furthermore, they pay extra for having too high return temperature. This could be an incentive for the end users to optimizing their substations, as end users with low return temperature receive a bonus. The competition is an Open Innovation Process open for everyone who wants to share their ideas on how to prepare for lower forward temperature in the district heating systems in accordance with the conditions of this call. The process runs in the following steps according to the timeline described further down. All proposals submitted are judged in accordance with the judging criteria (see below). Up to five (5) proposals are selected for a final pitch event on the Open Innovation Day. All relevant ideas will be taken into consideration. There are no requirements as to how far the idea/proposal/product has been developed, i.e. also ideas only taking some areas of the general challenges into consideration are welcome, as the call is looking for multiple ways to deal with the overall aim mentioned in the call text. So, we are not expecting full-fledged ideas for an integrated overarching solution solving all issues and challenges at once (but they are of course welcome, if identified). Therefore, as part of the competition, the idea could be matured towards the finals. The competition is open to everyone regardless of their background, experience and location. Applicants can participate alone or in groups, be private individuals or part of a company, organization or institution. What’s in it for the winner? The finalists will have the opportunity to present their idea at Open Innovation Day held in Lund, Sweden, on 1 March 2019. At this Open Innovation Day an expert jury will guide and assist the finalists for further co-creation of the ideas and choose a winner for the Open Innovation Call. The winners of this challenge will not receive a fixed price, but the organizing district heating companies (Kraftringen, Sweden and Høje-Taastrup Fjernvarme, Denmark) are committed to pursue any good idea and solution that is worthwhile continuing working on for further development and potential validation and implementation. Additionally, there are plenty of district heating companies around Europe in need of this kind of innovation. Thus, there might be a large market for the presented ideas, potentially resulting in new partnerships or actors wanting to co-develop the ideas further. Therefore, the exposure of the contestants is of great value. As a contestant, you will receive customized consultancy support, if you are chosen as a finalist for the Open Innovation Day following the Open Innovation Call. A network of specialist will be at your assistance to prepare the idea/proposal for the finals. Furthermore, validation and/or implementation of the proposal will be the utmost aim for both the organizing partners as well as the contestants, alas this cannot be promised beforehand. Additionally, participation will provide opportunities to engage with relevant stakeholders and potential customers and expand networks and knowledge about the theme at hand. All solutions must be presented via the submission form linked below. Submissions that are not sent via this route will not be considered. All proposals must be presented via the submission form on the website by 11 February 2019, 12:00 noon CET. All proposals must include an account for how the project team/the innovator uses the compulsory EU-criteria of sustainability with regards to the innovation in accordance with what is described under the section “Judging Criteria” in the Competition Manual. Submissions that are not sent via this route and/or without the sustainability report will not be considered. A maximum of five (5) selected finalists will be invited to a final pitch event (Open Innovation Day) in Lund, Sweden, on 1 March 2019. Travel costs for up to two members per selected finalist/team will be reimbursed by Climate-KIC in accordance with the terms and conditions provided. The winning proposal will receive professional advice and assistance by Climate-KIC on how best to progress with turning their idea into reality. Questions and answers related to the competition will continuously be uploaded here. Q: Is it possible to upload other documents to the application? A: Yes, it is possible to upload illustrative materials such as illustrations, diagrams, pictures etc. We will not take additional text material into consideration. Q: Where do I find more details about the consultancy and for Open Innovation Day? A: We will make sure that you receive all the information that you need for each step you enter. You are always welcome to contact Climate-KIC, Jakob Stolt (jakob.stolt@climate-kic.org) if you have any questions. Q: Do I need to go to Sweden to participate in the competition? Q: How do I get access to the presentation from the webinar on 30 January? A: A recording of the webinar will be presented here after the webinar. Most of the information presented during the webinar can be found in the competition manual. Q: What is the Open Innovation Day about and when and where is it? A: The Open Innovation Day is the final event for the call. The finalist will get the opportunity to pitch their ideas for an expert jury and the audience and work in a co-creative process to further develop their ideas. The Open Innovation Day will take place in Lund, Sweden, 1 March 2019. Register for the webinar	Find out more on this call to develop sustainable solutions for the intelligent use of energy. phone (+45) 28 10 98 92, jakob.stolt@climate-kic.org.